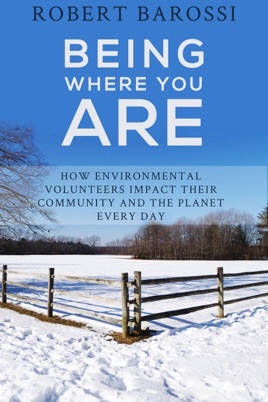 Being Where You Are: How Environmental Volunteers Impact Their Community and the Planet Every Day features the stories of a charming, eclectic and fascinating group of environmentally involved everyday citizens. They include a frog song monitor who used to be terrified of frogs, a man whose personal mission and life’s work is to clean his town’s beaches, and a mother-daughter team of suburban beetle ranchers, among others. Their efforts run the gamut from monitoring osprey nests and banding migrating songbirds to pulling trash out of rivers and educating children at nature centers. While the places range from small coastal towns and mountain villages to major cities, all of these volunteers have a deep connection to the special places where they live. They also have a lot to say and teach about the environmental problems we all face and how every person, regardless of location or stage of life, can get involved and do their part. As much as they are educational, their stories are hopeful and inspirational, with the potential to motivate others to become environmental volunteers as well, creating important and necessary change in their home towns and their small corner of the planet.